Find an experienced surgeon with whom you feel comfortable. It is imperative that you feel you can develop a longterm relationship with the surgeon. The surgeon will become an important person in your life. Make sure you ask your doctor all pertinent details about your surgical procedure. Educate yourself about the surgery. Learn as much as possible ahead of time about post-op care, precautions, and possible complications. If you have any doubts, seek a second opinion from another well-respected surgeon. Plan ahead. Schedule the surgery when you can take time off from work and when it will be least disruptive to your family. Weigh the risks versus the benefits and reconcile that in your mind. Don't go into surgery dwelling on risks or potential complications. Focus on the benefits. Feel encouraged and have a positive attitude. Focus on the high rate of success of joint replacement surgery. Talk with others who have had the same procedure done. Talk with some of your surgeon's other patients in order to gain perspective. Other success stories can remarkably ease your mind. Recognize that the pain and deterioration of your joint has diminished your quality of life. Visualize yourself getting your life back after surgery. Realize that you may feel increasingly tense or anxious as the surgery date approaches. Don't fight it - it's normal! Make a commitment to do your part to ensure a positive outcome. Actively participate in the process and assume responsibility for your own care (e.g., follow precautions and do exercises daily). If you have spent time on crutches before, reacquaint yourself with them. Practice on your crutches, so the awkwardness is not overwhelming immediately following surgery. Don't view the recovery period as time lost, but rather as time to rest and recuperate. Realize that the time you will invest in the rehabilitation process is necessary for better health. Realize that physical therapy and your post-op exercise regimen are critical for a successful outcome. Envision each exercise you perform as a stepping stone toward improved strength, improved range-of-motion, and improved function. Remember that you will be laid up for several weeks. Organize your life! Schedule appointments and take care of business as much as possible in the weeks prior to surgery. Take multivitamins and eat well-balanced meals in the weeks or months prior to surgery, so that the healing of surgical wounds will be promoted. 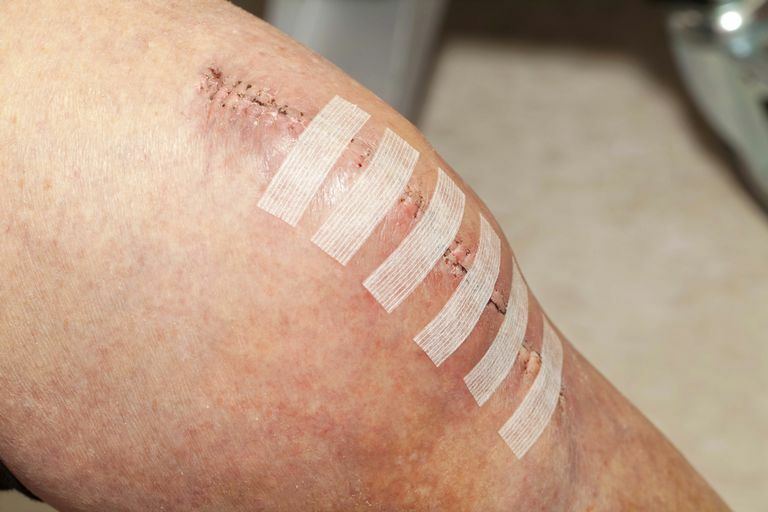 Infection can be a devastating complication of joint surgery. If any sign of bacterial infection exists anywhere in the body preoperatively, surgery must be postponed. In the weeks prior to surgery, donate autologous units of blood to be held for your operation. Ask your doctor if you need to stop any of your medications prior to surgery. Arrange for someone to be with you, especially the first week or two after you go home from the hospital. If no one is available, make arrangements to enter a post-op rehabilitation facility until you become independent and are able to care for yourself at home. Never lose sight of your goals. The surgeon and surgical team do their work in the operating room - the rest is up to you. Be inspired and work hard during the rehabilitation phase of your recovery. Arthritis of the Hip & Knee, by Allen, Brander M.D., & Stulberg M.D. Peachtree Publishers Ltd. 1998.